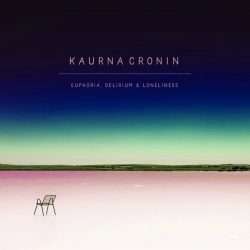 Kaurna Cronin is a youthful Australian singer-songwriter. His bio attests to a number of Antipodean folk awards won, yet this, his third album, is very much an exercise in subtle guitar pop/rock. Cronin has a polite airy voice, perhaps reminiscent of the mighty Paddy McAloon, but not quite emulating the lyrical sharpness of the man. Not to say that Cronin isn’t lyrically astute though – there’s not too many clichés in his words, which are the saving grace of this record. The ten songs do largely fall into the cited folk tradition of story-telling and he paints detailed pictures of his characters, their situations and their woes. Unfortunately the album as a musical whole is a little ‘safe’ though. There’s little in the way of urgency and the overall sound doesn’t do justice to Cronin’s writing. Should a 24-year-old display bit more anger? A bit more musical fire? There’s a certain ‘Coldplay-ness’ about the record as a whole, which can’t be a good thing. Perhaps that’s just a matter of opinion. A Different Side To You comes closest to springing into action – rockabilly/surf guitar and pounding drums drive the song along very nicely as Cronin tells us of a duplicitous, manipulative lover. To give the youngster due credit, his cover of It’s a Heartache, closing the record, improves on the original significantly (sorry Bonnie Tyler fans, if any of you are reading this). It’s a more subtle yet still dynamic interpretation. Young Aussie folkster shows lyrical skill, but ultimately loses his cutting edge within uninspiring guitar pop sound.